There’s a temptation with online casinos to put everything out there on the home page for players to see. However, this can make things a little overwhelming, so it’s refreshing to see Kerching Casino has made the whole experience welcoming and as streamlined as possible. You’ll want to investigate further, but we’ve already done some digging on your behalf right here. 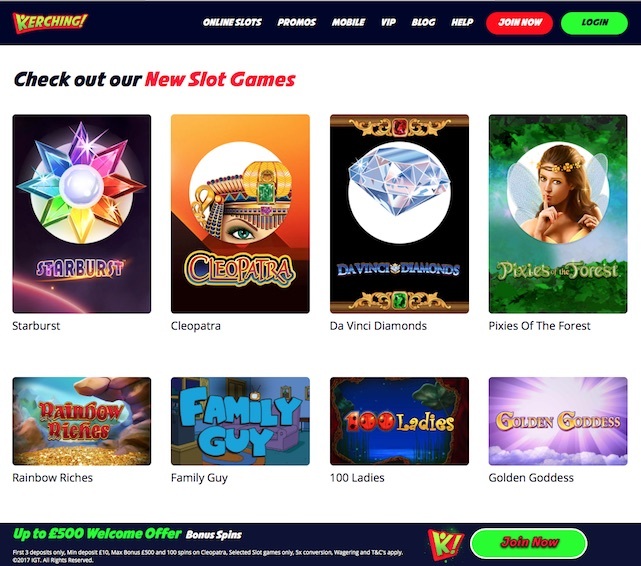 The first thing you’ll notice about Kerching Casino is the array of games promoted on its home page. They’re not all included here, but some of the best and newest additions are, including Spinata Grande and Aloha Cluster Pays. This certainly whets your appetite for what’s to come. When you add in a nice selection of weekly promotions and the existence of the VIP club as well, this all adds up to a pleasant casino that is very user-friendly. Kerching has been around since 2007, although it has gone under the radar a little compared to some bigger and more flamboyant sites. That’s no bad thing, though – this particular online casino is reliable, established and mobile-friendly as well as being a delight to visit via their desktop version. Licensed by the UK Gambling Commission and the Government of HGibraltar. The deposit bonus at Kerching is 100% deposit match up to £50. It means that you can deposit £50 and play with £100. The minimum you can deposit is £10 and the maximum is £50 to get the bonus. 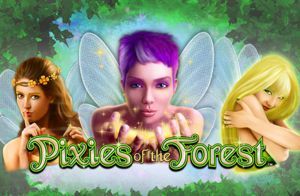 As well as this you will receive 50 free spins on Cleopatra Slot. 2nd Deposit: 100% up to £150 + 25 free spins on Cleopatra Slot. 3rd Deposit: 150% up to £300 + 25 free spins on Cleopatra Slot. The wagering requirements for the bonus atcasino are 30 x the deposit and bonus amount. New Customer Offer, T&C’s Apply 18+, Please Gamble Responsibly, Gambleaware.co.uk. When you visit www.kerching.com, you get treated to a great range of exciting games – some of which you may not be familiar with (that’s always a good thing). There are some popular titles here as well, though. You can see what the player favourites are, or select new games or recommended games. Alternatively, you can see all the games to choose which ones to play. The game selection tips way over in favour of slots, but you will find the odd table game hidden away, such as blackjack for example. Look out for some high-definition games too, like Cave Raiders. New slots at Kerching Casino in include Treasure of the Pyramids, Wolfpack Pays, Double Play Super Bet and Cool Jewels. Watch out for Da Vinci Diamonds Dual Play as well, if you want something completely different. You can also try a superb roulette game that features a clear table and a roulette wheel that appears when you’re ready to spin. Latest slots include Football: Champions Cup, Secrets of Atlantis, Tokidoki Lucky Town, Wheel of Fortune on Tour, Witch Pickings, Aloha Cluster Pays and Starburst. Kerching.com benefits from having games from several software providers. These include better-known providers such as Playtech, IGT, NetEnt and Barcrest Games. However, you’ll also find games from Wagerworks and OpenBet included in the mix. The core technology that powers Kerching Casino is Nektan. One of the best features is that you can click on a game and be invited to try a demo version. This allows you to play in the exact same way you would if you did so for real. The one disappointment is the mobile casino has far fewer games to try than the desktop version. Furthermore, you don’t even have to be a member to do this. That’s a real perk in our eyes, as few casinos allow it. A wide variety of banking methods are provided, including Visa and Visa Electron, Mastercard, Maestro, Neteller and Skrill. The site also accepts deposit via Boku, a pay-by-phone service provider. If you play via their mobile casino, it might be worth looking into the advantages of using this method. You will need to choose an alternative banking method for withdrawals if you do opt to use Boku. One withdrawal permitted in each 24-hour period. This has to be a minimum of £10 and no more than £2,500. Fraud checks must get completed before the withdrawal is made, taking up to 72 hours. Debit and credit card withdrawals should take within three to five working days. If you have any questions, you can use the FAQ. There are separate sections for games, bonuses and account-related questions among others. They also have an email contact address and a phone number you can use. All in all, Kerching has provided its players with an appealing site that is well-designed and has a variety of nice features. It’s certainly nice to know the bonuses and promotions don’t stop with the welcome bonuses. And with three levels available in the VIP Circle – VIP, VIP Premier and VIP Elite – your dedication to playing at this site could well be rewarded in a variety of ways. If you’ve visited Kerching online before but you haven’t been there in a while, take another look at it now. It manages to provide you with all the pertinent information as soon as you arrive, without overwhelming you in any way. That, to us, is a real skill. Will you agree?